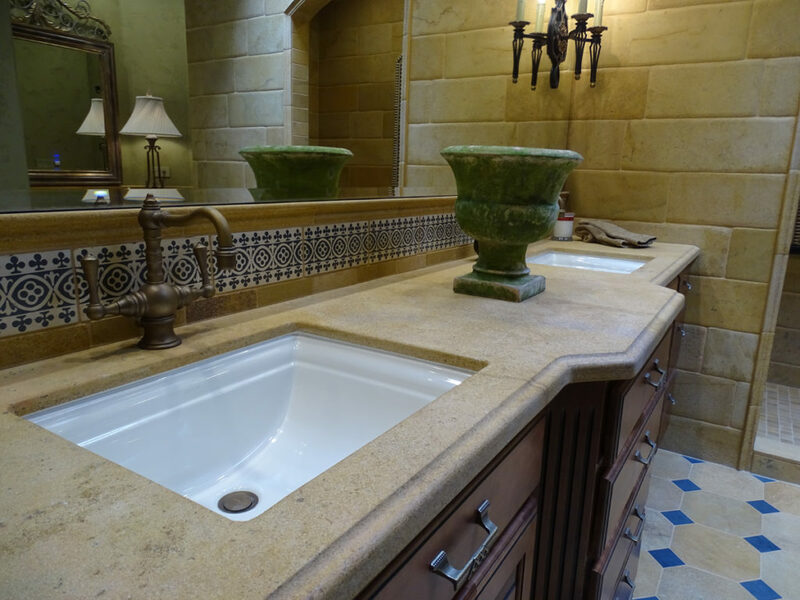 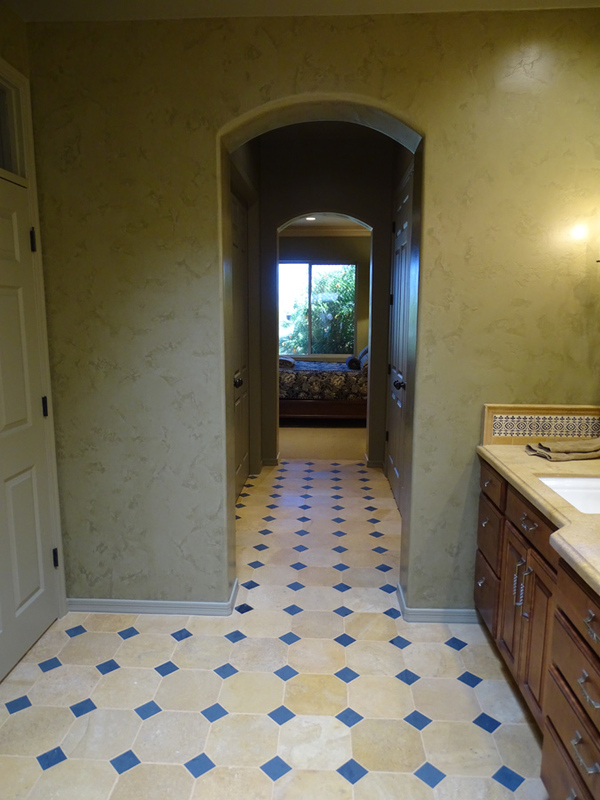 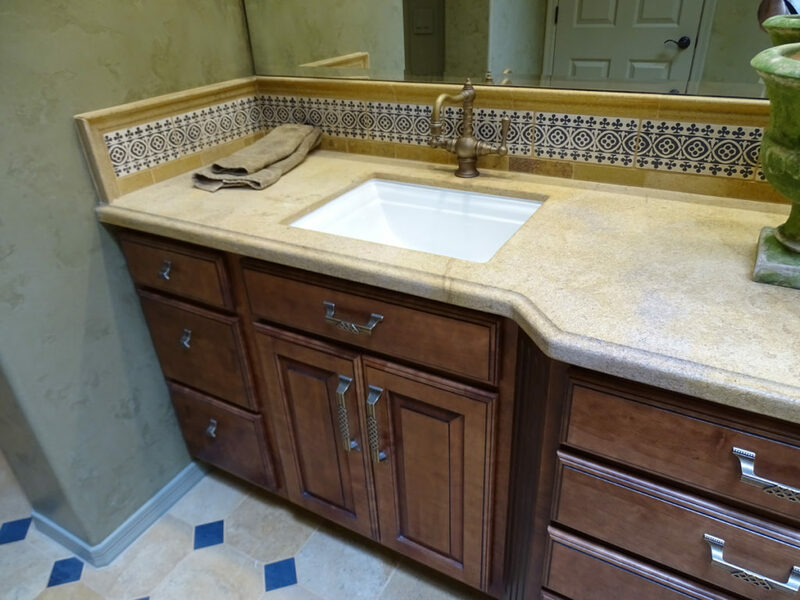 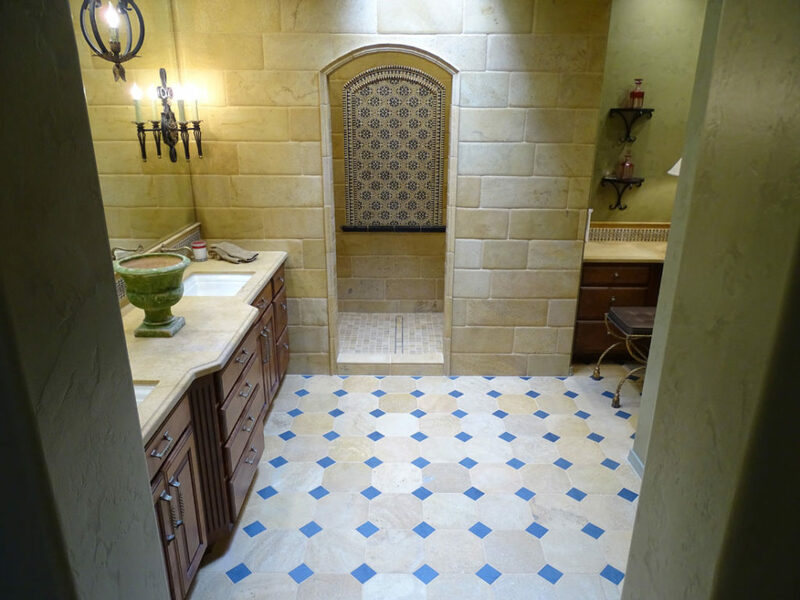 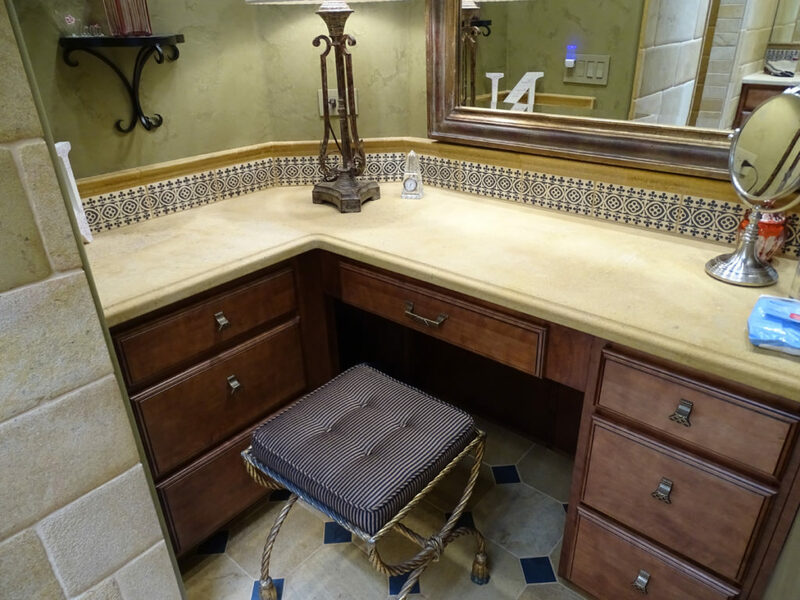 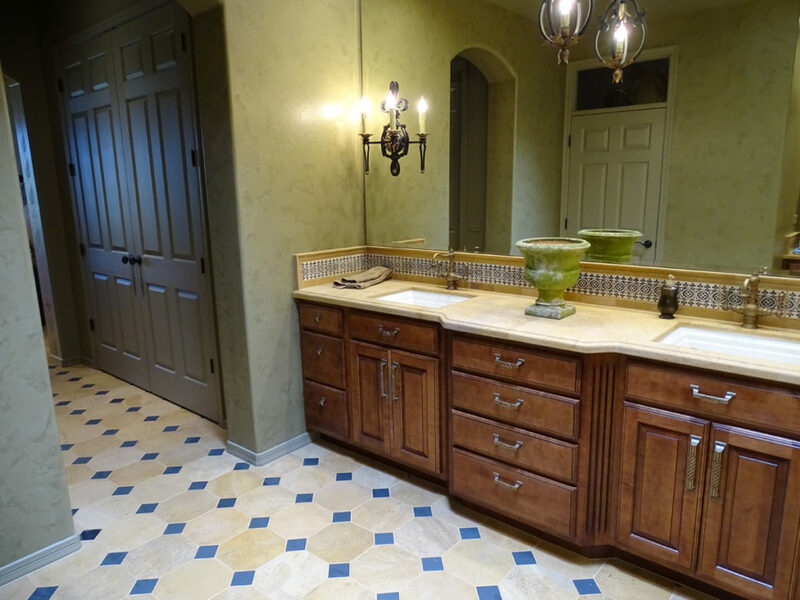 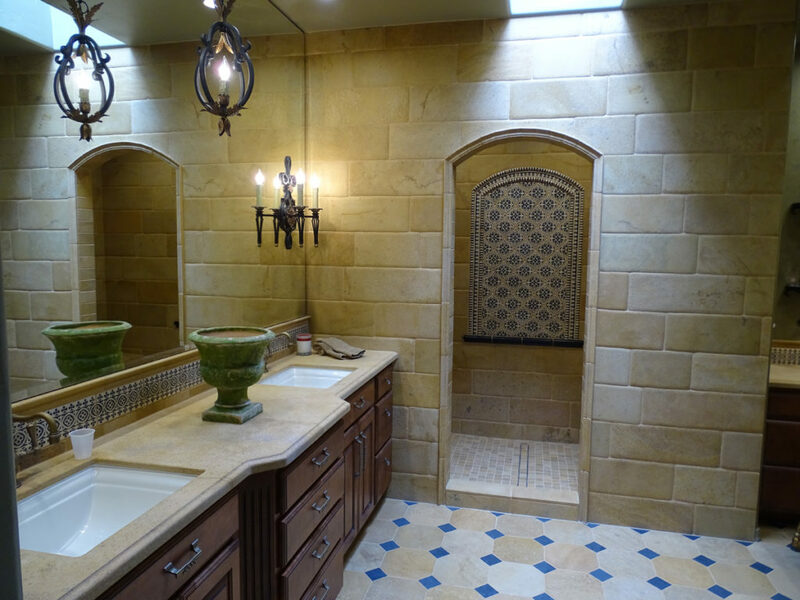 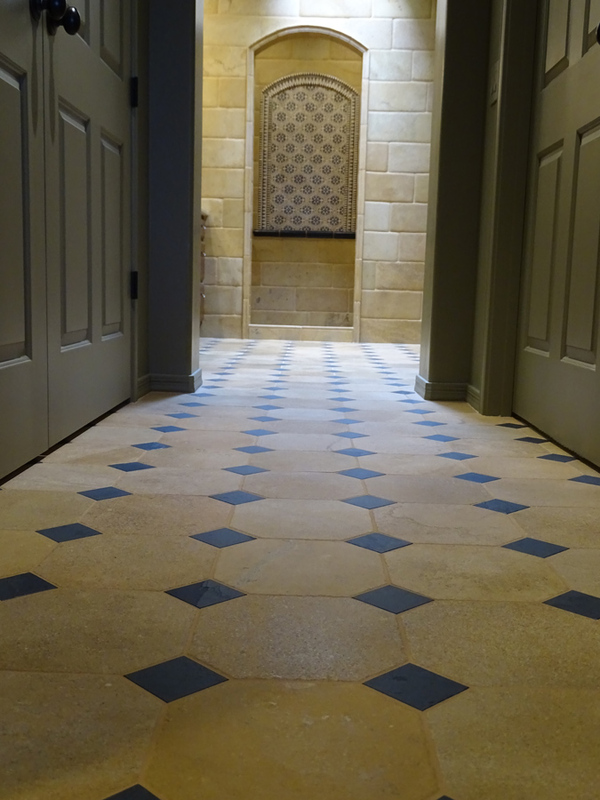 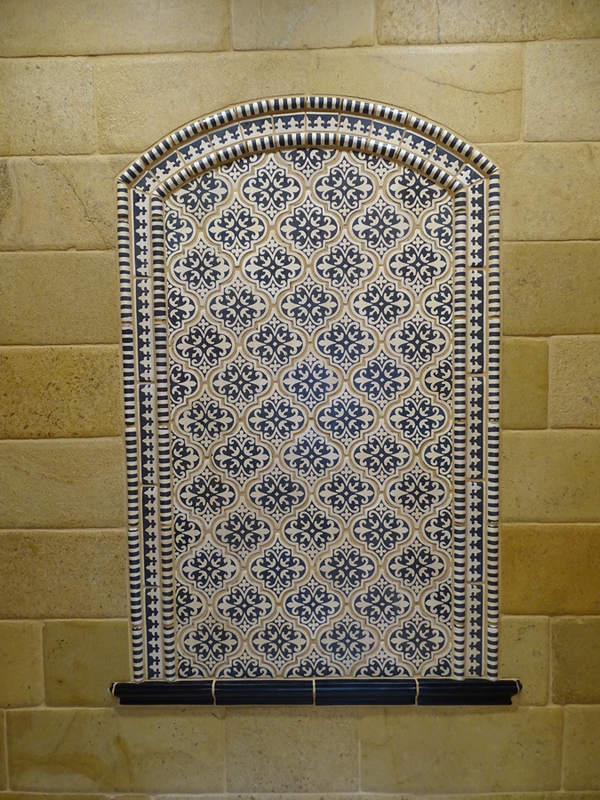 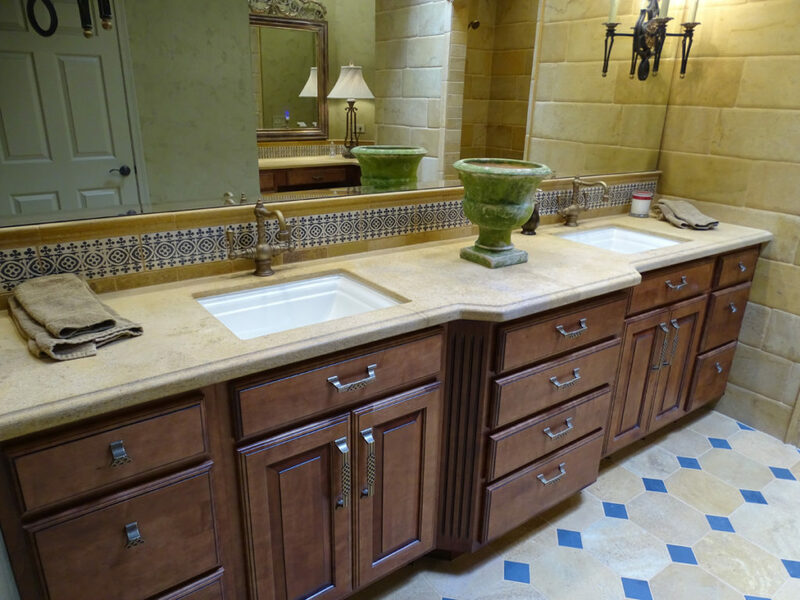 The Wiedebush residence in Oro Valley has given us the opportunity to showcase beautiful natural stone tile with its 18x18 chiseled travertine floor, and a custom travertine tile rug pattern bordered with a waterjet cut stone listelle and granite mosaic tile. 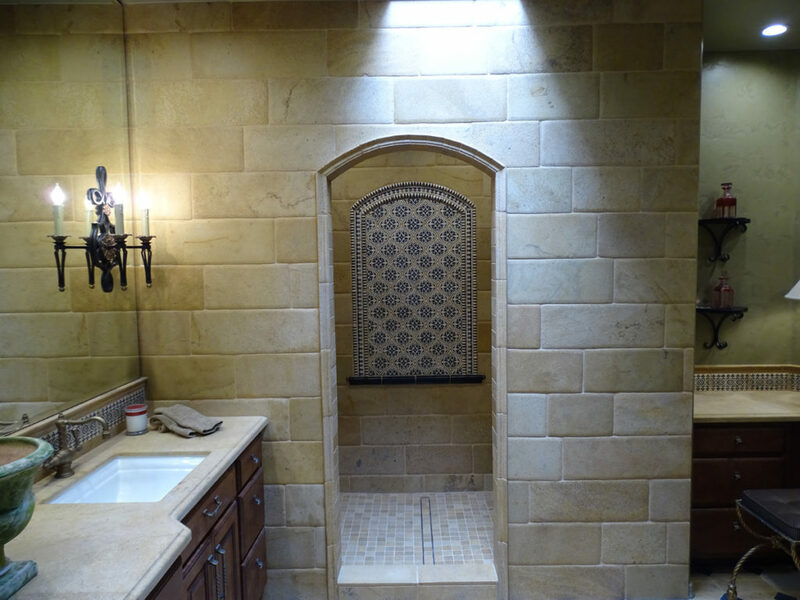 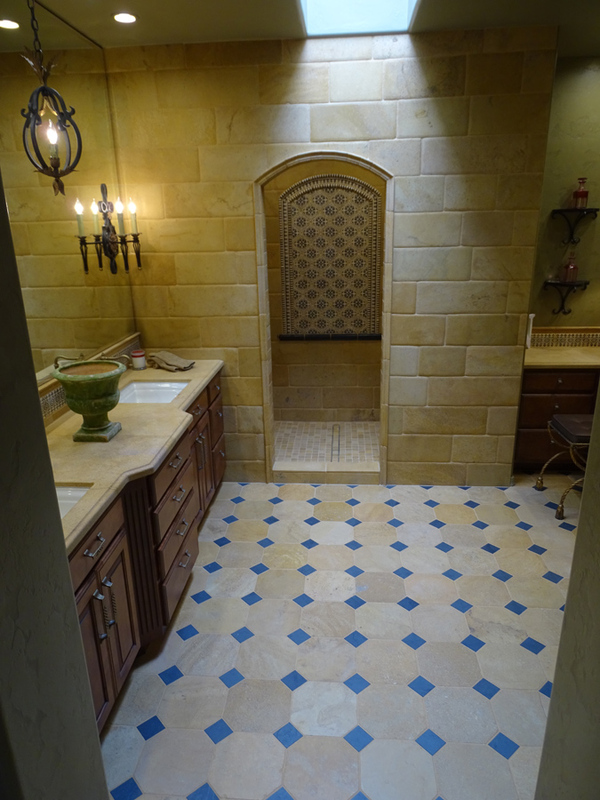 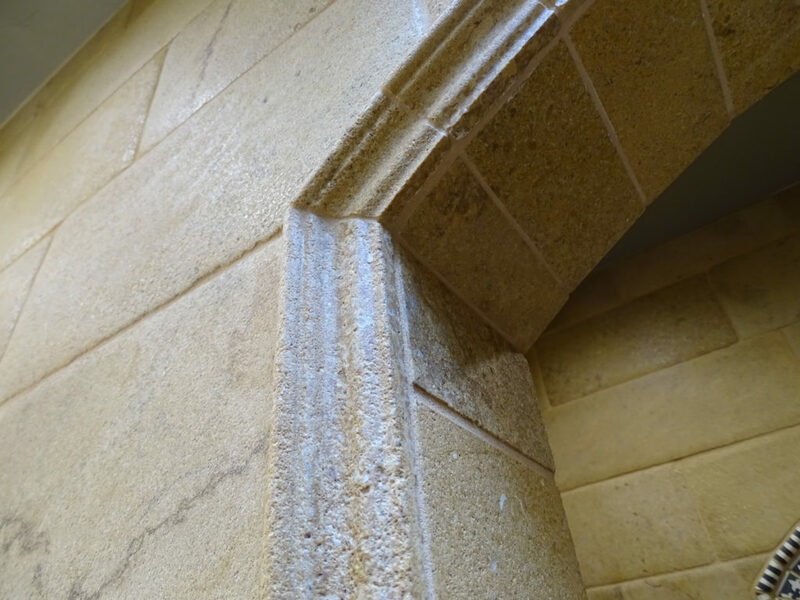 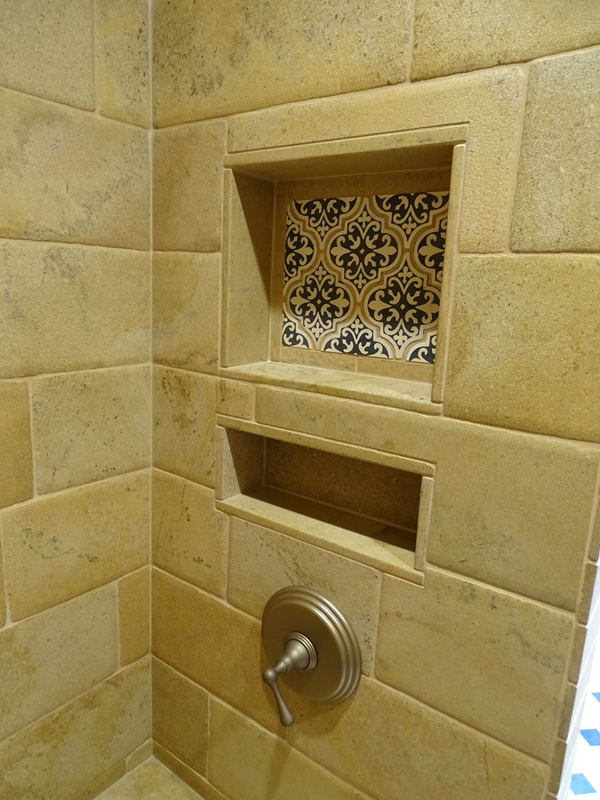 The master bathroom uses a stunning French limestone in various sizes from the octagon and dot floor, to the countertops and chiseled edge in the 'his and hers' shower. 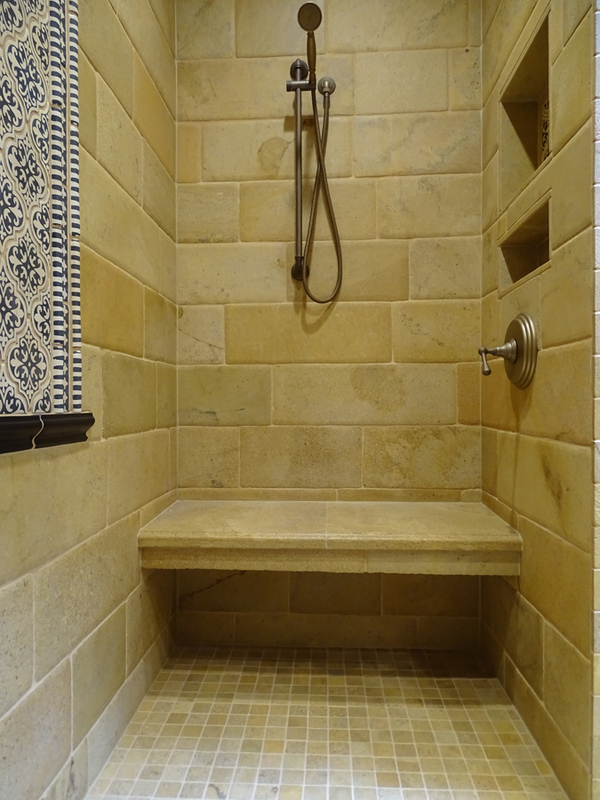 The Schluter waterproofing system was used in the shower, finishing it off with a beautiful linear drain with a tileable screen. 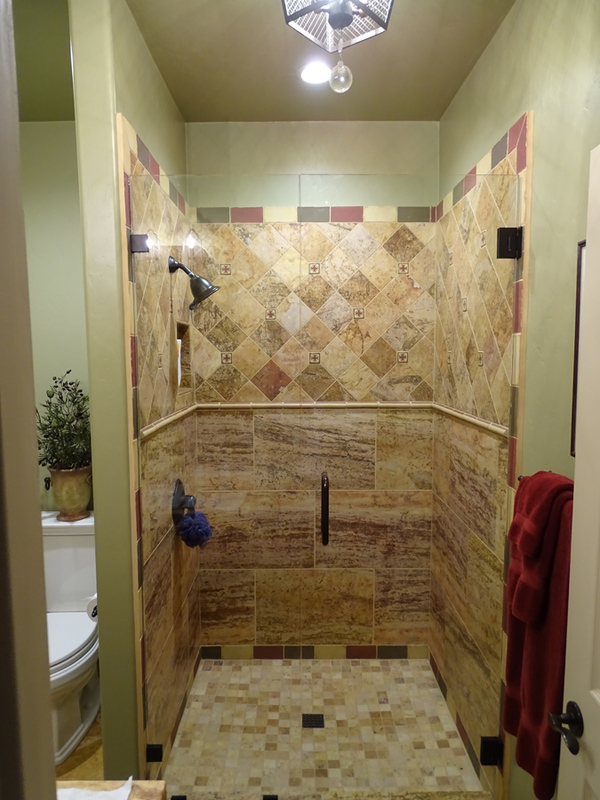 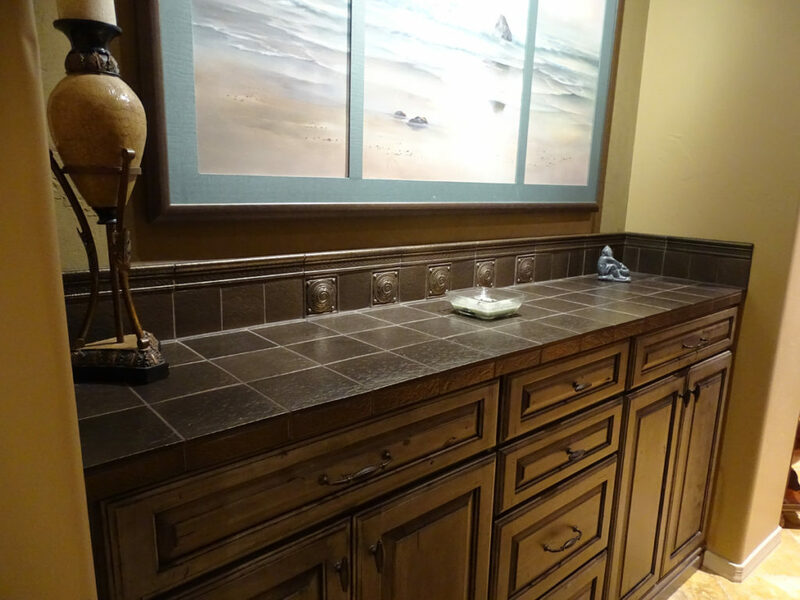 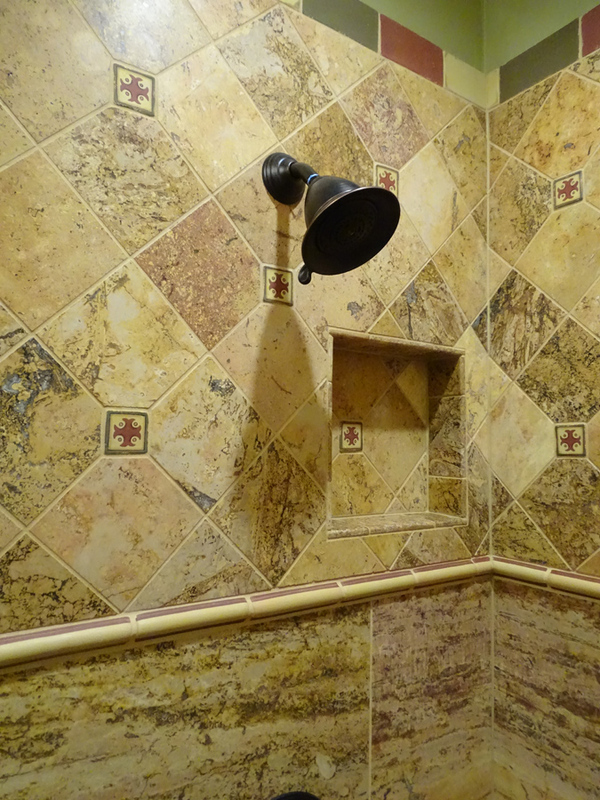 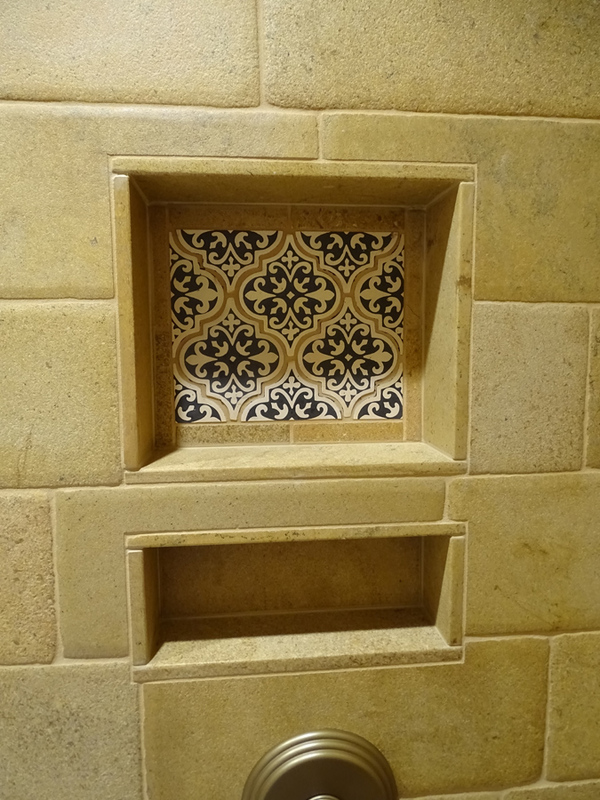 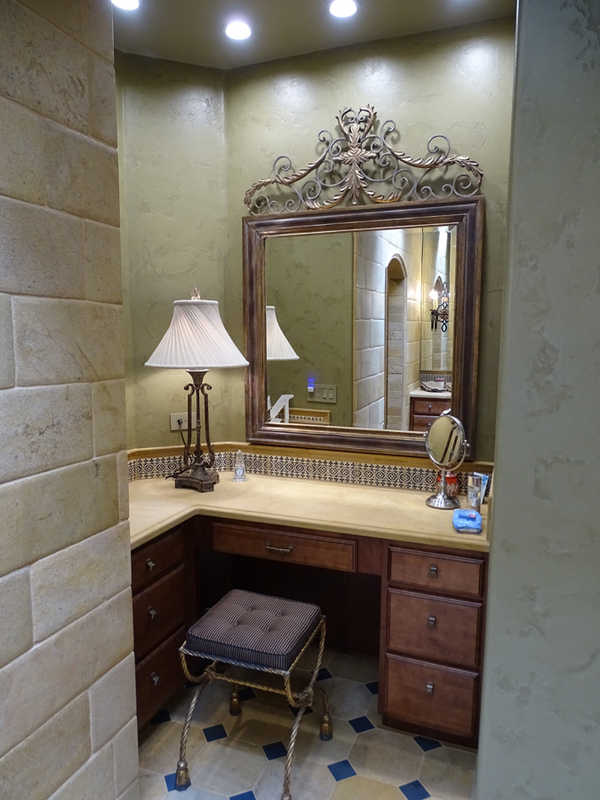 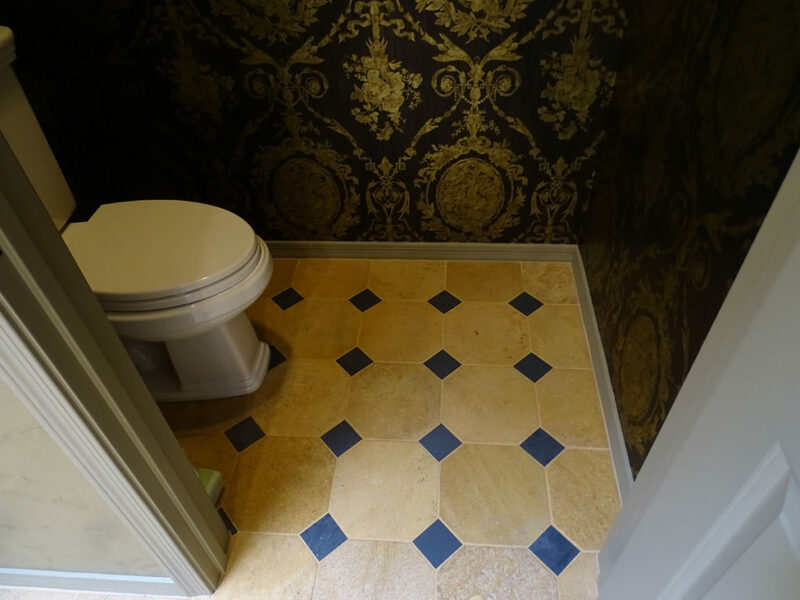 The guest bathroom definitely showcases the artistic design of Thia Cross Designs.